So you’ve got a slammin’ track, some cool vocal samples, now what? What’s the magic formula for adding vocal samples to music and walking away with a masterpiece? I talked with a few friends who are absolute pros at this. What they said was, “It’s a little nudge here and a little nudge there.” Voila you have a song! It sounded pretty easy, so I decided to give it try. Well, let me tell you, it’s not that easy. I nudged left, I nudged right, but pretty soon it became downright frustrating. I thought, maybe it’s just luck and all I’d have to do is drag and drop the vocals directly onto the track. This was in hopes the vocal samples would roll onto my track like lucky dice and I’d end up with a masterpiece… yeah right. This aroused my creativity to try a few other methods. As a singer, I naturally sing on-the-one. Alternatively, I tend to anticipate my vocals while singing to the beat. My method is to learn the vocal sample part while letting the music play over and over again. Then, when it feels natural and I’m comfortable with the placement of the vocal sample, I place it in the track. Another method I use is to mix and match various vocal samples. For example, I find the vocals I like. Then, I arrange them to fit my track exactly by editing them, (making them shorter, longer, blending them, or speeding them up). This is done to create my original arrangements. The beauty of mixing and matching vocal samples is, in essence, the key to letting your individuality shine. There are some who may hesitate using vocal samples they’ve heard used before. I beg to differ! Your creativity is unlimited in the power of your arrangement process. It’s all in how YOU assemble the vocal samples in the mix. Our customers have proven this method over and over again. It never fails to amaze us how creatively different the arrangements can be. Remember, there is no wrong or right way to use a vocal sample. What some may consider the wrong way, may at times, produce a surprisingly, amazing arrangement! 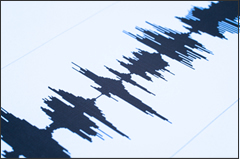 We would love to hear your little vocal sample production secrets! Drop us a line at info@vocaldownloads.com and we’ll post it on our site and you’ll get all the credit! You are currently browsing the archives for the Acapella Vocal Samples category.